As we’re all chipping away at creating our Miami Music Week schedules for next week’s preparations, we want to bring a special few events to the forefront and make sure these get added to your list of must-sees. South Florida based event and promotion company BLNK CNVS Presents is hosting a collection of shows for the week-long bender, one of which is the return of Deadbeats Goes off the Deep End Miami. Back in the radiant city of Miami for the third installation of Deadbeats Goes off the Deep End, this show is going to be an earth-shattering explosion in Wynwood taking over Soho Studios on Thursday, 3/28. If past years are any indication of what’s in store for 2019’s show, (which of course they are) then this will most definitely be a bass-lover’s paradise and easily a top highlight of your Miami trip. The lineup of course features Deadbeats label heads Zeds Dead for a special B2B set beside returning Deep End champ Jauz, as well as Liquid Stranger, Peekaboo, Delta Heavy, Jaenga, and another B2B set from Tisoki and Spock. 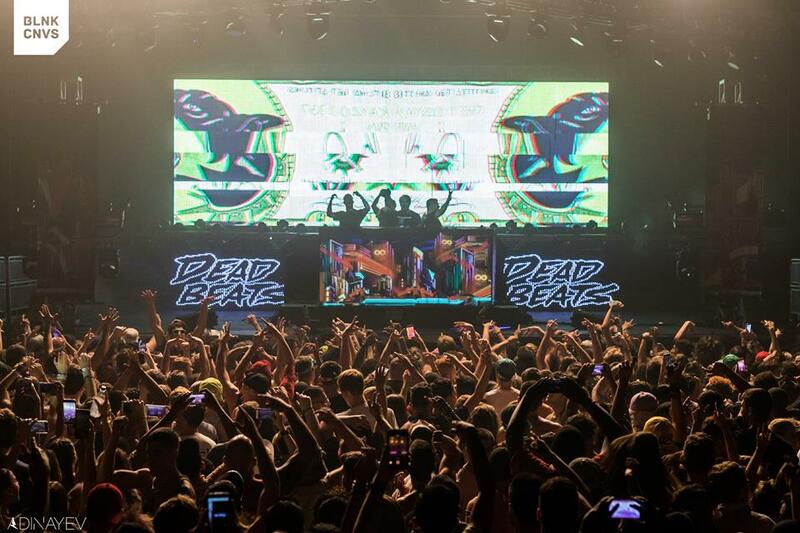 Get your tickets to Deadbeats right here while they last! One of a handful of BLNK CNVS events for the week, Deadbeats is accompanied by Nora En Pure’s ‘Purified Records’ party at MAPS Backlot on 3/28, Night Bass Miami at MAPS on 3/29, Anjunadeep Open Air Miami at MAPS on 3/30, and last but not least Virtual Self at Soho Studios on 3/30. For more details & tickets to any of these shows, visit here.